Louisa Barham joins Raglan Area School at the beginning of 2019 leaving Peachgrove Intermediate School, a school in Hamilton of 480 students and 50 staff members (30 teachers and 20 support staff), where she has been the Principal for 15 years. 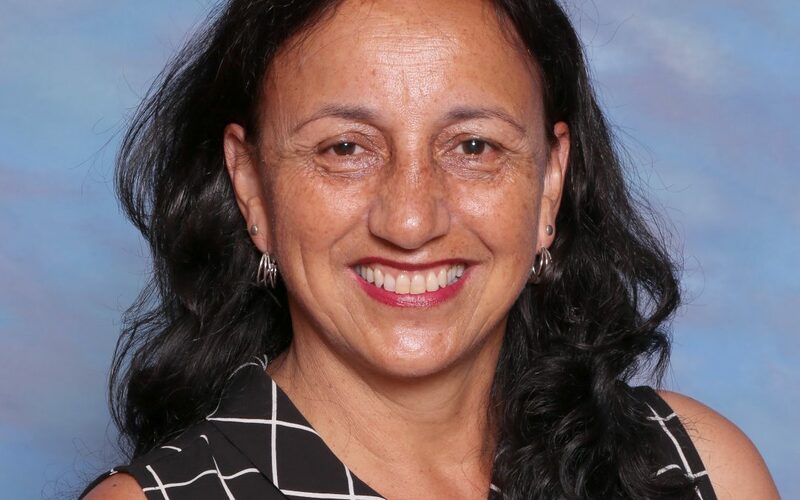 Louisa is currently also the lead principal of the He Piko He Taniwha Kaahui Ako (Hamilton Central Community of Learning), which also includes Hamilton Boys High School, Hamilton Girls High School and Hamilton East Primary School. These schools have been working together for the past three years to learn from each other with the aim of improving learning outcomes for students at risk of underachievement. “After a thorough recruitment process in which the Board was careful to represent all community groups, Louisa won the Raglan Area School Board over for being a passionate educator, leader, strategic thinker and innovator. We believe she will bring strong leadership skills, curricular focus, be instrumental in developing more learning opportunities for students and build on our strengths and values”, says Chris Banks. Mrs Barham has personal connections to Raglan. Her paternal grandparents farmed land here in the 1930’s and her father attended school in Raglan as a young boy. Her immediate family have spent a lot of time in Raglan in recent years and Louisa will now move permanently to Raglan joining her husband, Ricky, who has owned the local butchery for more than 2 years now. She is looking forward to meeting staff and students later this year before she officially takes up her new role in January 2019. We look forward to Louisa Barham’s commencement and the opportunity to introduce her in person to our community. A very big thank you to Marleina Te Kanawa, Darcel Rickard and Denise Reynolds who very kindly donated their time to help us to ensure this process was as thorough as possible. We are very grateful for their input.